As a freelance author, editor and speaker, I haven’t had a “real job” since 1982. I don’t have paid vacations, but I’m free to sit on the porch and read a good book whenever the weather is nice and work is slow. This year I’ve been able to speak at sixteen conferences across America and stay in some very nice hotels and be entertained at some very nice restaurants, sit on the beach of Lake Michigan, and enjoy the Rocky Mountains from my lodge. I don’t have a pension, but I have such a wealth of friends as a result of my writing and speaking; so many rich emails and letters saying that I have encouraged people along their life journey; and so many precious memories of moments with family that I would never been afforded if I was off working at a real job. Yes, I’d love a regular pay check, health insurance, pension, or paid vacation. And, yes, it can be frightening being one project away from homelessness. But life is a trade-off and——at least for me—freelancing offers freedom that a “real” job can’t. And my prayer life has never been better! Share your thoughts: What is your favorite aspect of being a freelance writer, editor, or speaker? Or what keeps you from doing so? Leave a comment. 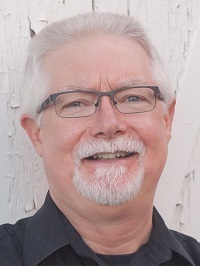 James Watkins is a sought after speaker, teacher, editor, and author. He has authored, co-authored, and contributed to 38 books, the most recent, a modernized edtition of the beloved devotional, The Imitations of Christ, by Thomas A. Kempis. James is a member of the FCWC 2017 faculty. For more information or to hear a podcast on Hope and Humor visit JamesWatkins.com.